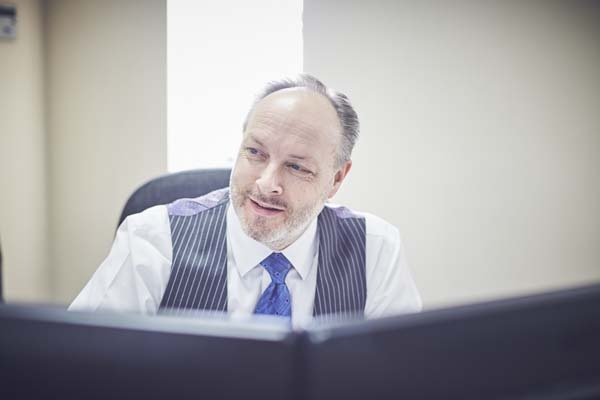 As a Chartered Fellow of the Chartered Institute for Securities & Investments, Stephen has over 35 years’ experience working in finance, specialising primarily in designing and managing bespoke investment portfolios for private individuals, trusts, SIPPs and charities. Having started his career with Lloyds Bank, Stephen changed discipline in 1987 when joining Dorchester’s original stockbroking partnership, Richardson Chubb. As the industry gradually evolved from stockbroking into investment management, the firm evolved through various incarnations into Capel-Cure Sharp before changing tack en route to becoming part of Barclays. So in 2000, Stephen left Capel-Cure to co-found the original Dorchester Office for Brewin Dolphin along with long-term colleague David Evans. Fifteen years later and with a hint of déjà vu, Brewin’s changing ethos and ambition for a ‘regional’ focus migrating eastwards away from Dorset opened the door for Stephen and David to come home and set up the Dorchester Office for Hawksmoor, together with Christopher McNulty. Outside of the office, Stephen and his family enjoy exploring Dorset’s peaceful countryside, its famous coastline and fascinating local history. They also make good use of the region’s ‘hidden gems’ of having great theatre, cinema, literary festivals and live concerts all close at hand.